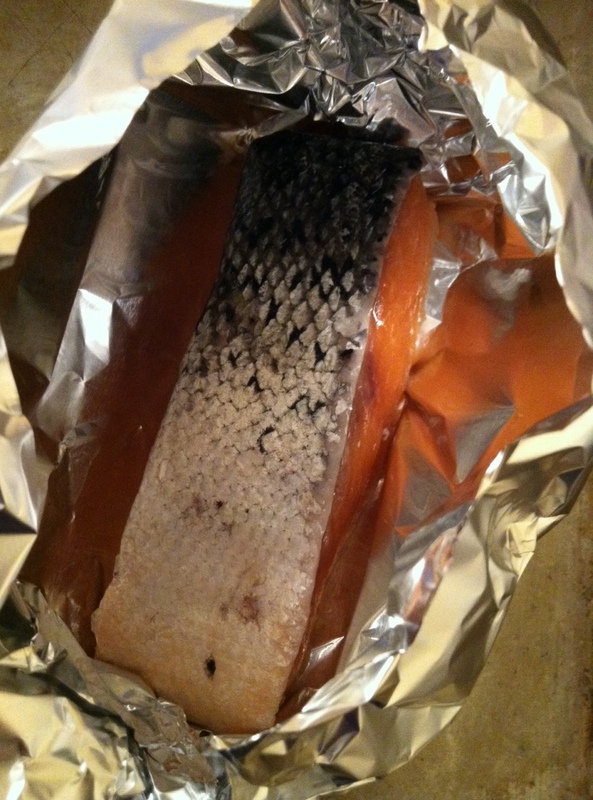 Family Disappointments (and Salmon Baked in Foil!) | Small, but valuable. My parents have helped me move and unpack a few times over the years. They’re really talented in their respective fields, but they might have missed their calling as professional home unpackers. When I moved from Winston-Salem to Chapel Hill, we finished packing the U-Haul in the morning, drove a few hours, got the boxes out of the van in the rain, and unpacked every single box in one day. Granted, that was a one-bedroom apartment, and Scott and I are now in a large 3-bedroom house. Still, I’m disappointed that I didn’t quite get the family unpacking genes. It’s been exactly a week since the stuff got to the house, and I’d say that 75% of the boxes are unpacked. Maybe 67.8% or 72.3478%. Somewhere over halfway and less than almost done. So there’s that. I’m also cooking in our sort-of organized kitchen, which is fantastic. Maybe I can credit my slow unpacking to the food situation. We used to eat hot dogs or corndogs or whatever until the boxes were unpacked. Not anymore. Now the 70’s cabinets don’t even bother me, because I can use our awesome pans and knives and soup bowls and all kinds of glasses and everything I could want. 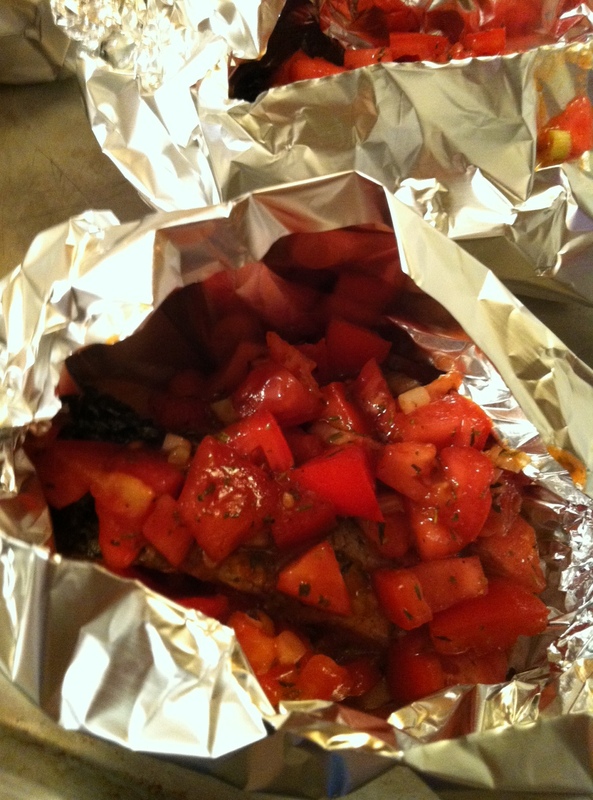 Last night, after Scott got home from a really long day, we enjoyed Giada’s “Salmon Baked in Foil.” Om nom nom. Sometimes I can mess up fish, due to inexperience and severe over-cooking, mostly. Not this dish. The foil is kind of fool-proof. I used fresh tomatoes instead of canned, and I didn’t have any lemon juice. Since the grocery store is more than a hop, skip, and a jump away now, I used white vinegar instead (half the amount). Delicious. It tasted a lot more like comfort food than my typical light salmon recipe. Throw the boats on the plate with some veggies and quinoa, and it was a welcome end to a hard day.